It's already a drill that November and December are the months where Robinsons Supermarket gives the gift of wellness in time for the holiday season. The last leg of Route to Wellness campaign is all about giving. The ''Give Wellness'' event was launched last Saturday at the Eastwood Mall Open Park in Libis, Quezon City. This year, the theme of this event was the Polar Express. Shoppers and families had a merry experience discovering the meaning of sharing and giving back to the community by joining the activities and product sampling during the event. Sharing with you highlights of the launch below and what to expect with ''Give Wellness'' promo when you shop at Robinsons Supermarket from November 1 to December 31, 2017 below. 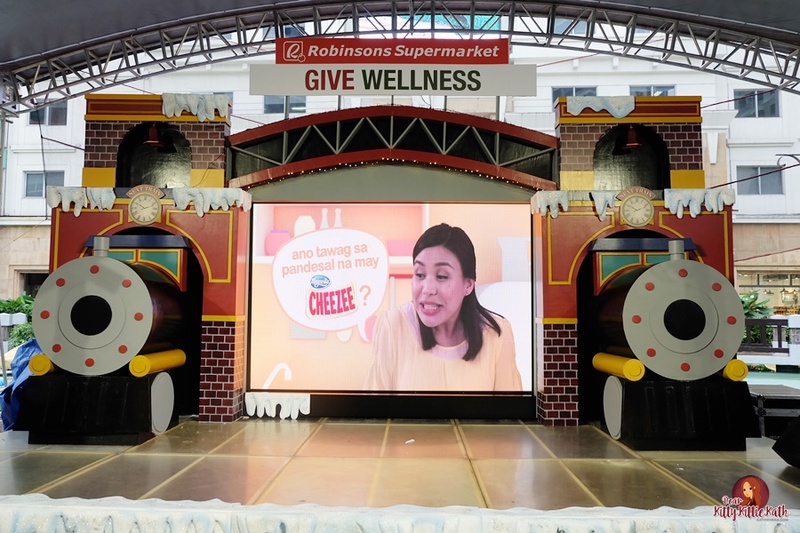 Believing that everyone is capable of giving and receiving, especially the gift of health, Robinsons Supermarket culminates its Route to Wellness campaign with its “Give” promo. The program aims to show people exciting ways to win prizes, get freebies, and share their blessings with other people. 1. Robinsons Supermarket give promo period is from November 1 to December 31, 2017. 2. The Give Wellness promo will reward customers with a P100 off coupon when they spend P3000 worth of items inclusive of P500 worth of purchases from participating brands such as Enfagrow A+ Four, CDO, Selecta, Purefoods, Del Monte, Ceelin, Kojiesan, Promil Gold, Unilever, and P&G. 1. We definitely felt that "Christmas is in the air" ambiance during the event because of the polar express theme. We had a merry time hopping onto a train ride full of games and prizes, activities and freebies. 2. We visited the booths of participating brands and joined the fun activities in store for us that day. There were different train station where one can drink a hot cup of coffee, decorate a sugar cookie, and print their photo and make a mini lamp. With the goal of giving back to the community, attendees took part in a game where they collected golden balls with corresponding values to help Robinsons Supermarket reach its P100,000 worth of donations to World Vision, a Christian, relief, development, and advocacy organization dedicated to working with children, families, and communities to overcome poverty and injustice. The “Give Wellness” event will travel to Novaliches from Nov. 10-12, Canlubang, Laguna from Nov. 17-19, and Gen. Trias, Cavite from Nov. 24-26 to enable people to discover and share the gift of health and wellness to others. 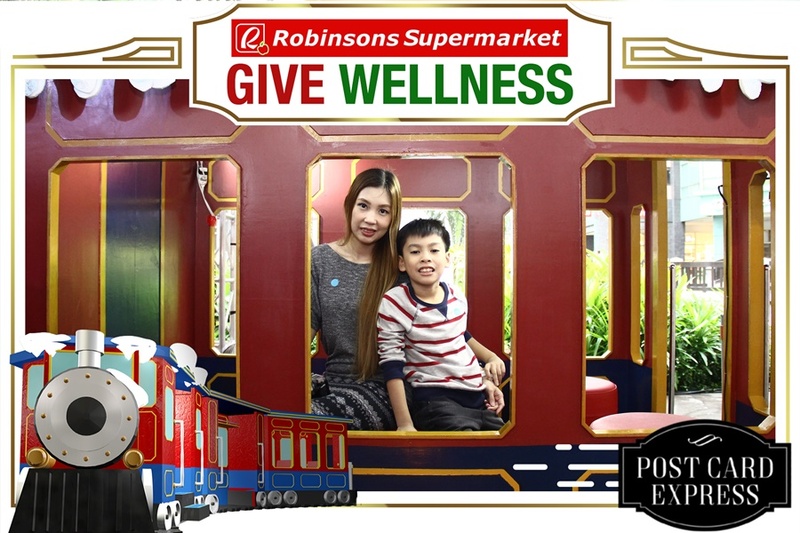 So visit and shop at Robinsons Supermarket today and give wellness this holiday season. I totally agree with you. Thank you for always visiting my blog. See you soon!